If we had all day, we'd love to sit down and tell you about our adoption journey. We'd tell you about the place Becca's always had in her heart for the orphaned children--when she was growing up, her Barbie house was an orphanage for lonely G.I. Joes and cast-off yard sale toys. We'd tell you about Justin's changed heart as he visited children's homes in the Philippines and then India. But we just have a few paragraphs. So we’ll sum up our adoption journey in this way: we believe that God has called us to parent a daughter, and she is living somewhere in India right now. 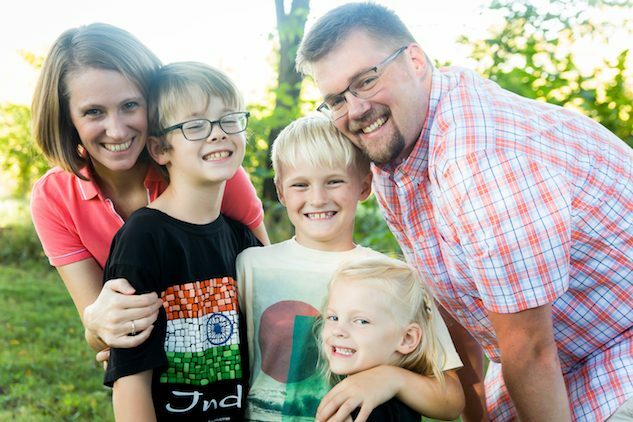 This adoption process has already been an adventure, of experiencing and falling in love with the people of India, surrendering to God’s will and timing for our family, and unifying our hearts to pursue the dream of adoption that He placed there. Often, our belief that we can do things on our own--that we are solely responsible for this journey--is wrapped up in a sense of pride in our abilities and a desire to be independent. We’ve already seen God’s hand in using other people to help us on this journey. It’s not about us. If we were to do it all on our own--even if we were physically, emotionally, and financially able--we would be taking away the joy someone else feels in helping us. God has called us to live in community with one another, and we want our community to be a part of this journey with us. We received a referral for a 7-year-old girl in April and are so excited to have a name and face to pray and hope for. We're also anxiously awaiting the day when we are able to bring her home. We are currently awaiting a second court date and praying that the judge will review and rule on the case. We are hoping to become a family of 6 sooner rather than later and would really appreciate your support. Love your Hearts and just the way you are! Here's a little help from your Ohio family! May God bless all of you as you go through this process! We're Team Renaud, for sure. Can't wait to meet your sweet little girl! Can't wait to meet her. So excited for you guys! We are so very happy for you guys! Looking forward to the newest Renaud blessing!! We are so excited for your family! Blessings, prayers & love. Very excited for you to become a six family & looking forward to learning more about your sweet daughter! Noone can pretend to always know what God has planned, but sometimes he points in a direction and tells you to take steps, so we listen and go. Good luck and God bless your family. I want to meet your daughter when she comes to live with you. Praying with you as God leads you down this amazing journey. So excited for you all!! Prayers!! Good luck to your family and cherish that sweet girl! I've enjoyed watching your story unfold. Praying for many more blessings to come your way! What a truly blessed family you will be!!! She will be such a lucky little girl to get to join your family!!! And Becca, so glad you did reach on out on FB. I know sharing feelings and asking for help is not easy, but it sure does make for some pretty amazing moments! Much love and many prayers to your beautiful family!